Swazi women are on the move. Actually, Swazi women have always been on the move, organizing, opening spaces for women, opening spaces for democracy. Every year, the international media `discovers’ Swazi women on the move. But Swazi women know they have never been still and they have never been silent. As Swazi feminist and labor organizer Cynthia Simelane explained recently, Swazi women have a longstanding tradition of organizing. Over 20 years ago, in 1990, women got together and started the fabulously named SWAGAA, Swaziland Action Group Against Abuse, an organization initially dedicated to addressing family violence and sexual abuse. They’re still going strong. In 2001, Thelma Dlamini, Siphiwe Hlope, Nonhlanhla Dlamini, Elina Hltatshwako, and Gugu Mbata, five middle-aged women living with AIDS, organized something variously called Swaziland Positive Living, Swazis for Positive Living, or Swaziland for Positive Living. Whatever its exact name, 12 years later, they’re still rocking, expanding, stretching, creating and representing. In 2009, Swazi women organized Swaziland Single Mothers Organization, which in the last year doubled its membership. While the Constitution is far from perfect (and what State document isn’t far from perfect anywhere?) and while its implementation has been spotty, at best, it’s not nothing. Ask Mary-Joyce Doo Aphane. She’s the woman who used the 2005 Constitution to sue for her rights to property under her own name. And, last year, she won her historic case. What’s in a name? Plenty, especially if the person is a woman. Ask Mary-Joyce Doo Aphane and all the women of Swaziland. 2011 saw the emergence of the Swaziland Young Women’s Network, a multi-focused organization committed to young women’s empowerment and to transforming not only the State but also everywhere and everyone in order to create autonomous spaces, once again, for women, in this instance for young women. And they’ve been kicking it ever since, from taking on public transportation’s sexual violence to creating vibrant events for young women artists to organizing last month’s mini-skirt march. Swaziland is more than one corrupt monarch. Swaziland is hundreds of named and unnamed women’s groups, traditions, actions and movements, where women have always organized for the realization of democracy, not in some distant future, but now. 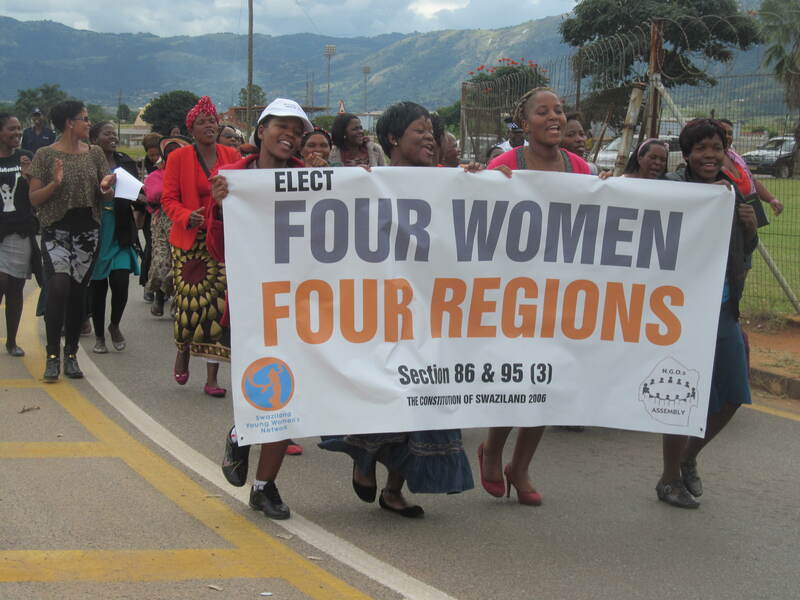 The next time some article `discovers’ Swazi women are organizing, remember … Swazi women have always been on the move.